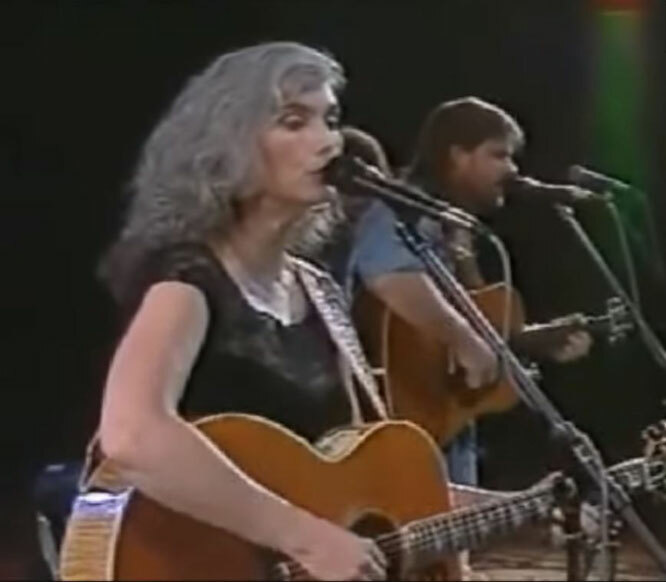 Emmylou Harris performs "Sweet Dreams"
"Sweet Dreams" or "Sweet Dreams (of You)" is a country ballad, which was written by Don Gibson. Gibson originally recorded the song in 1955; his version hit the top ten of Billboard's country chart, but was eclipsed by the success of a competing version by Faron Young. In 1960, after Gibson had established himself as a country music superstar, he released a new version as a single. This version also charted in the top ten on the country chart and also crossed over to the Billboard Hot 100, where it peaked at number ninety-three. 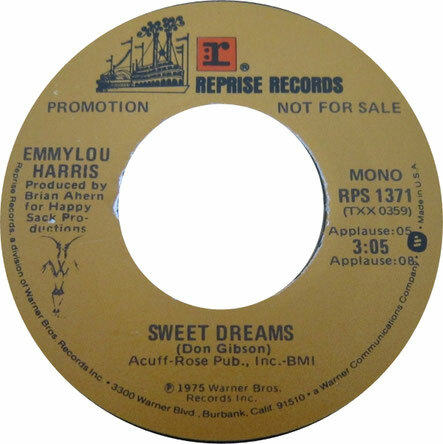 The song has become a country standard, with other notable versions by Patsy Cline and Emmylou Harris.